You’ve probably heard a lot of things about Search Engine Optimization (SEO). How it works, what doesn't work; you should post content here, but not there; link building doesn't matter anymore; don't re-post other people’s content; etc! With so much information and the added complexities of the ever-changing Google algorithm (what is that even? ), where can you get the facts on what SEO your website really needs? 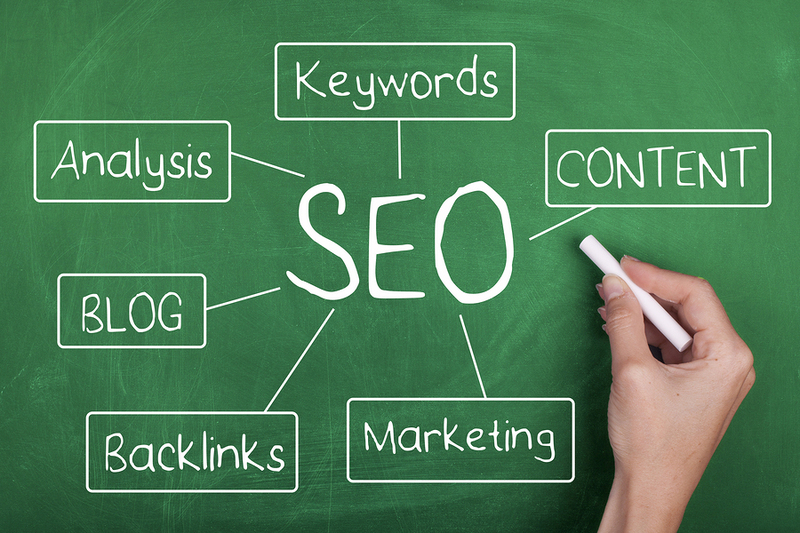 In this article, we share 5 myths about SEO and explain the facts. Myth 1: SEO is too hard to do yourself. Hogwash! You can learn how to do your own SEO. Hiring an agency may help you get results, but they may not be quick. In fact, SEO is a longer-term tactic. How search engines rank your website depends on many factors, but consistent delivery of quality content will bring your site up in search rankings. You might be tempted to hire an expert (and you may need one later), but you can build SEO into your website yourself, and who better than you? No one else knows your audience and content like you. If you’re itching to get started, Google has a good help guide for beginners. Download it here. Myth 2: It’s Google! They’ll just find my site. Search engines use a lot of variables to find and rank websites, but you can’t depend that their algorithms will just know that you made a website and understand what it’s all about. Help yourself out by researching some keywords you’d like people to find you with and make sure to use those words in your content. Also, make sure to claim your google business listing and describe your services clearly and simply, otherwise search engines will just make their best guess at what your business is about. Myth 3: I’ll just pay for an ad to get my ranking up. Organic search results happen as people follow content from sources they trust. You don’t have to pay to get higher ranking, instead investing in providing quality content that users want. The better your content, the more people will share online, and the better your search results will be. By the way, did you know that many people prefer to skip Ad links? Users are looking for authentic experiences online and don’t want to be told to click on link pushed onto them. Paid makes sense for a lot of reasons, but to rank organically, you’ll have to look elsewhere. Myth 4: Don’t ever, ever, ever, ever post duplicate content. You’ll be blacklisted for life! So this used to be true. But given the use of sites like Medium and Linkedin articles, reposting your own blog content to other channels than your blog can be a great strategy for increasing the number of people who find it. We’ve actually been experimenting with this ourselves, and we have not seen issues with our SEO. Many people repost their blog articles to other social media sites, and just cite it, like “originally posted on Doodlekit.com.” We did some research and found a statement from the head of Webspam at Google, Matt Cutts. He said, “I wouldn’t stress about it unless the content that you have duplicated is spammy or keyword stuffing.” Google is more likely to index the highest authority site where the content is located and group the others. Which is great if you need to build traffic and include a link back to your site from wherever you post the content. Here’s a great video of Matt Cutts talking about this topic to help you rest at ease. Myth 5: Social media doesn’t impact my rankings, right? Social media URLs may be separate from a main website, but social presence is a major factor in SEO. The more your social presence is boosted in a positive way, the larger your impact. Share original content regularly and boost your social media credibility by carefully choosing which guest content to share on your site and feeds. Getting started with SEO isn’t as hard as you might think, but it does take time to learn. So give yourself the license to try. You can’t really get it wrong, but you can only improve. Bit by bit you’ll be able to sort the SEO myths from the facts and become a SEO master. What SEO myths have you heard, so we can debunk them in a future post?